Reverse your child’s stress, and you’ll all benefit! The bus pulls up and you brace yourself. She comes flying off the bus backpack bouncing and arms flailing. You already know there is going to be an issue as soon as she walks in the door. Sure enough, she barges in the door yelling and eyes flashing, ready to lash out. You quickly try to manage the behavior by telling her, “Calm down or I’m going to have to put you in time out until you can pull it together!” She escalates more and is sent to her room. It’s a predictable dance, you know each others’ steps and cues. But this is a dance you don’t want to be part of through another school year. When kids are in school all day they are receiving a constant barrage of distracting or annoying sensory input all around them (the loud cafeteria, echoing in gym, pencils scratching, fans whirring). This environment is very stressful for a lot of kids, even ones who don’t have problems processing sensory input. Add to that, limited movement because kids need to sit still most of the day, and are under constant pressure to focus. They may feel performance anxiety if things come easier to other children. They also may be receiving rejection by unkind peers or teachers at school as well. This combination is exhausting and kids often arrive home feeling discouraged and overwhelmed. Their stress can come pouring out in the form of anger at parents and siblings, demanding behavior, or being overly silly and physical. So, if your child frequently returns from school acting like a mini-Godzilla waiting to trash something or someone, it doesn’t mean you have a “problem child” or you are deficient as a parent. There’s a good reason for this seemingly inappropriate behavior. It’s because your child has been working hard all day to hold it together, and they are tapped out. Research indicates that self-control is a limited resource, and your child has probably drained their self-control tank down to the last fumes. When parents address difficult after-school behavior by trying to “manage” it or “fix” the “problem child”, they usually add stress and shame to a child who is already struggling. Stressed children don’t need another adult voice telling them they don’t measure up. 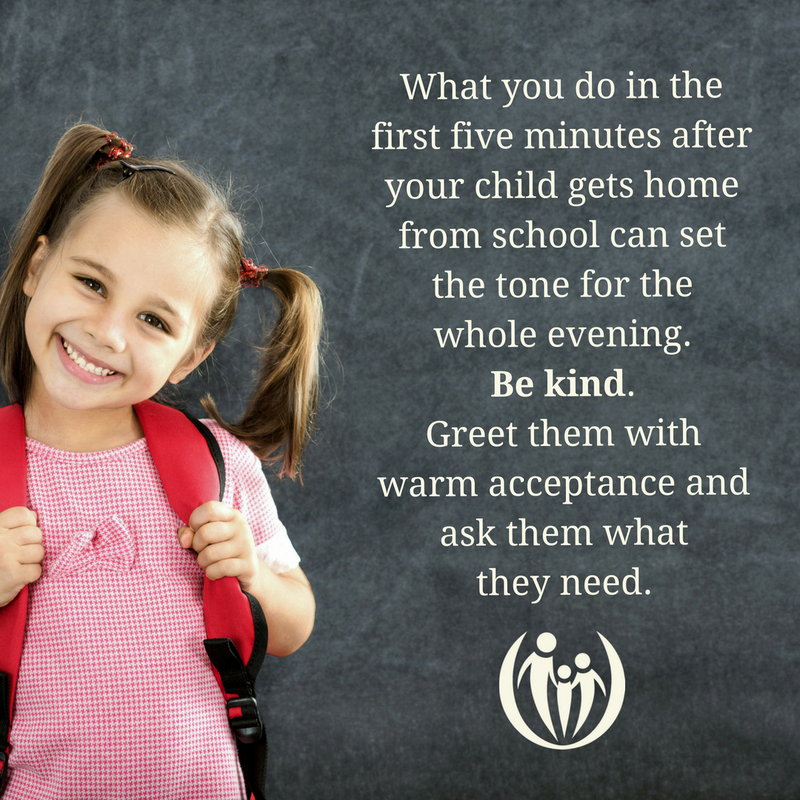 Instead, focus on trying to reverse the stressful experiences your child has had all day at school. When your child walks in the door*, greet her with warm acceptance and no demands or expectations. Remember, she is coming home loaded with needs. Focus on how to meet those needs. “I love that you are home right now! What can I get you? How can I help you?” Your affectionate facial expression and tone can be powerful. If your child likes hugs this is a great time for one of those! Being “hangry” can be one root cause of challenging after-school behaviors because kids often arrive home with low blood sugar and need a healthy snack right away. Beware – they may want to “regulate” and recharge with a sugary snack, which will be counterproductive. Once they have had a healthy snack you will probably notice they become significantly calmer. Every child is different, even within the same family! Some children need a calm, quiet activity to rebalance their nervous system (screens usually are not helpful, however). Others might love a firm massage or “squish.” Most children will enjoy lots of big muscle activity to help them feel more regulated. Generally, things that are rhythmical, predictable, and moderately intense are most helpful. One mom found that their evening went so much better if she took her kids straight from school to the playground for even 15 minutes. Check out our Sensory Activities List and discover what works best for each of your kids! 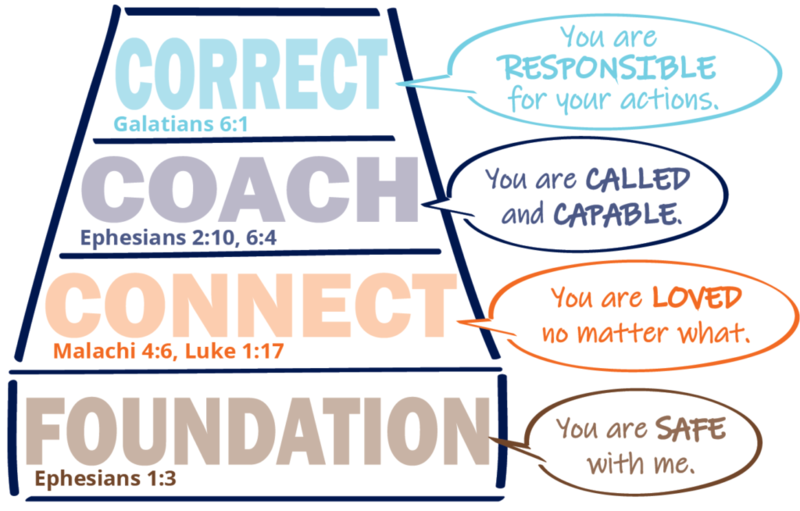 How can you tell if what you’re doing is beneficial for your child? If an activity is helpful you will generally notice your child is more focused, happier, and able to follow directions afterward. If your child has glazed eyes, appears to be on another planet, or is wild and giddy, you’ll know an activity was disorganizing to her nervous system. * To our homeschooling friends: you don’t need to wait until the end of the day! You have the beautiful flexibility to incorporate these ideas throughout the day. Our bodies were made to need not only a nutritious food diet but also a healthy sensory diet. This means we take in lots of “nutritious” sensory experiences in regular doses – enjoyable activities that help us either calm down (like a massage or playing with play-doh) or energize and focus (like bike riding or pumping a swing). In the same way that we avoid unhealthy foods, we can reduce aversive or over-stimulating experiences (like shopping at peak times or having music and TV blaring together). As we begin to look at ourselves and what our own body needs, it is important that we teach our children what their bodies need as well. What About After School Activities? You know it well. Mondays are soccer, Tuesdays you go swimming, Wednesdays mean music lessons and church, and the list goes on. How do you incorporate calming activities and a sensory diet when you are rushing from one activity to the next? It can be done with just a little bit of forethought and planning. What you do in the first five minutes after your child gets home from school and before your activities can set the tone for the whole evening. Greet them with calm and safe words. This relaxed start is essential. If you are stressed and rushing, it downloads your anxiety into your kids, “C’mon, c’mon, we gotta hustle!” It’s no wonder kids resist, are cranky, or even explode – your anxiety combined with their exhaustion and stress is combustible. Have a healthy snack ready for kids to eat in the car. If your child is looking forward to a snack it will make the transition easier. Every person in your family has a unique body, unique nervous system wiring, and unique needs. Be intentional about learning what your child’s “sensory diet” is when they come home from school and you will likely find the rest of your day goes a lot more smoothly! I want to meet your needs because you are safe and loved in this home. You are capable and responsible to learn what your body needs, to help you have connected, respect-filled relationships with the people you love. If you feel stuck and need customized help to best parent your sensory-sensitive child consider parent coaching with Lynne Jackson, OTR.